Budgeting really isn’t that bad. Here are six easy steps to achieving your financial dreams. With a new year just over the horizon, it’s time to make a few resolutions. If you haven’t yet crafted a budget, now is the time to do so for 2018. Regardless of whether you want to take a trip to Hawaii, buy a fancy new set of wheels or simply save more and spend less, a budget can get you there. Following are six steps to budgeting to your financial goals. What do you want to save your money for? The old-fashioned way to track expenses is to collect receipts and keep a log of every penny you spend for the next month. However, you can make the process simpler by signing up for a free account with Mint.com. This service tracks expenses automatically and neatly categorizes them for you. Best of all, it doesn’t cost a dime. It’s a good idea to always estimate your income low and expenses high. It’s better to reach the end of the month and find you have extra money in the bank than to come up short. In addition, make sure to put a name to every dollar. Maybe you finish with the monthly bills and have $200 left over. Don’t leave that as a catch-all slush fund; decide what you’re going to do with it. Maybe $100 will go into an online savings account, $50 will be an extra debt payment and $50 will be mad money. If you’re using Mint.com, it’ll be easy to quickly see how much you’ve spent so far in each category for the month. Then, you can make adjustments as necessary. For example, if you’re budgeting $50 for clothing and have spent $75, you’ll need not only to stop buying clothes, but also to make an adjustment elsewhere in your budget to make up for the extra $25. Maybe you’re feeling overwhelmed. A budgeting coach can help. Make sure to do your homework and find a reputable company to work with and ask about any fees. You should be able to get budgeting help for free. Finally, your budget is a living document. Unlike your slow cooker, you shouldn’t set it and forget it. Instead, regularly evaluate it and make changes as necessary. Always blowing through the food budget? You may need to increase it and consider where else you can cut back. 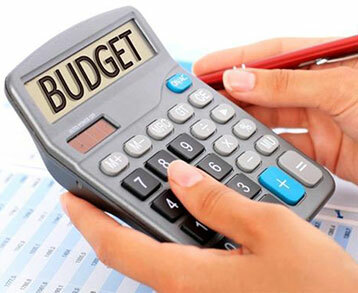 In addition, as your income, expenses or goals change, your budget should be adjusted to reflect your new circumstances.